The Fellowship was fortunate enough to obtain a copy of MAGE: THE HERO DENIED #0 from Image Comics. The story is written and illustrated by Matt Wagner, with colors by Brennan Wagner, and letters by Dave Lanphear. After a long (almost 20 years) wait, the concluding chapter of the MAGE trilogy is here. Honestly, I need to go back and read the other stories to refresh my memory. Fortunately, Image Comics is doing a new printing of MAGE Volumes One (THE HERO DISCOVERED) and Two (THE HERO DEFINED). Great little tease here from Matt Wagner; and am interested in seeing where Kevin goes in this concluding chapter of the MAGE story. 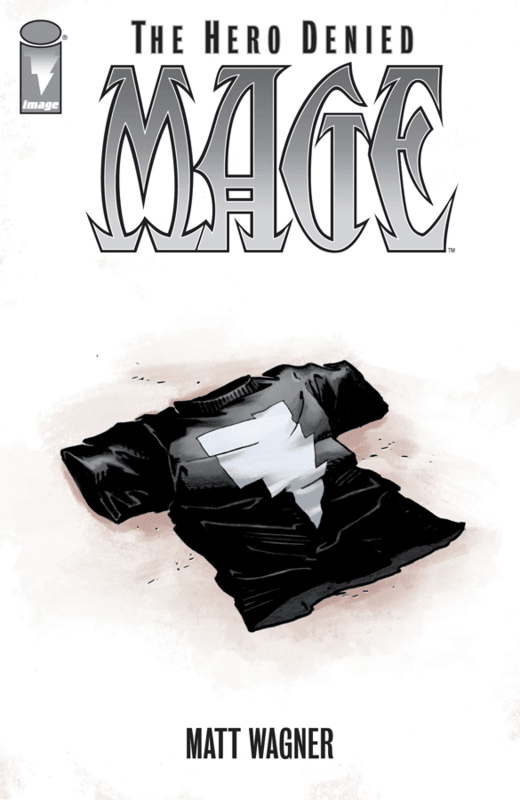 MAGE: THE HERO DENIED #0 is in stores now or available at www.imagecomics.com.